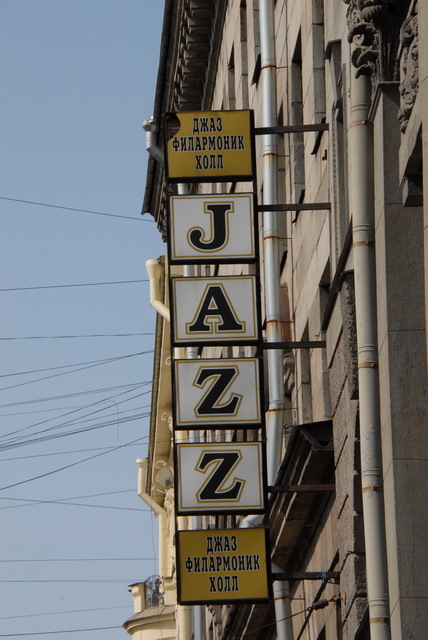 How did Jazz Around the World get started? Well, it wasn’t an intended project. It just evolved into one. Two years ago I wanted to do something on Facebook in honor of Jazz Appreciation Month. I started out by just posting a link every few days to a video of a few US Jazz musicians. After the first couple of postings, I decided to find a few international Jazz musicians to add to the mix. The feedback I received was positive and motivating. At the time, the international musicians I featured were those I had heard of before. It was nice ‘revisiting’ them again. By the time Jazz Appreciation Month came to an end, I realized how much I was enjoying posting and watching the videos. Not long after, an idea began forming, an idea that I could not put out of my head. What if I expanded this? What if I could find Jazz in 30 different countries? What if I could feature a different person or group each day of Jazz Appreciation Month? What if I could turn all of that into an around-the-world journey? Thus was born Jazz Around the World. Now all I had to do was find another 20 countries. But after thinking about it I realized that I was familiar with artists from at least a dozen more countries. That left only eight or so to reach my goal of 30 countries. My research began slowly, adding an artist or group once in a while. It began to pick up in earnest around December of 2013. The process led to discovering many new groups and artists. I think that was the best part of this journey. Along the way I made some unexpected finds. A friend sent me a link last year to a clip of the standard “Four Brothers”. When trying to find that clip again, a group called The Big Friendly Jazz Orchestra appeared in the results. The name caught my attention so I clicked their link. I was blown away by what I saw. It took some digging but I learned that these were high school girls from Japan. I decided to feature them as the closing group on our tour, showcasing them as an example of what today’s youth are doing with Jazz. One very big surprise was being introduced to Aziza Mustafa Zadeh of Azerbaijan. I woke up one morning and began mentally running through countries that I could include on the tour. At the time I had 29 of them so I only had one left to complete the tour. For some reason Azerbaijan popped into my head. Mustafa Zadeh’s name came up after only a couple of minutes’ worth of research. All I can say is to listen to her. Just listen. Putting the tour together reacquainted me with groups I hadn’t heard in a long time. Shakatak is one of those groups. It had been nearly a decade since I last heard their music. I remember how much I enjoyed them when they first burst onto the music scene in the early 1980’s. Their music still brings back those memories. Another thing I experienced was just how versatile these musicians are. Here in the States, we know some artists play at such an advanced level that they are ‘first call’ musicians for many projects, world wide. But once they travel outside the US, we never hear about their collaborations with other musicians. Bassist Richard Bona has an impressive resume chock full of international musicians he has worked with. Because he has worked with so many different artists, that means he is able to play countless different styles of music, not just Jazz. After adding him to our tour, I sat and listened to his music on YouTube for an entire day. Along those lines, I noticed a handful of US musicians popped up frequently when looking a clips of some of these artists: Chick Corea, Stanley Clarke, Billy Cobham, and Marcus Miller. All of these musicians are on the Jazz Around the World tour. There were a few road blocks along the way. For the visit to Cameroon, I wanted to feature bassist Guy N’Sangué Akwa. But the only clips available on YouTube were of his solos; no full-length material. Since I couldn’t use any of those videos, I was forced to choose another musician from west Africa. That is how Akwa’s fellow countryman Richard Bona became part of the tour. Another obstacle was labeling – or lack thereof – of music posted on YouTube. There are many, many videos out there that only list the artist or a genre, but not the title of the song. I found some music that I wanted to feature with the musicians on our tour but could not provide song titles because there weren’t any. Note to those who will post new music videos on youTube: please include the song titles. That way, we can actually buy the music to help support the artist so they can make more music for us to enjoy…and for you to post. Looking up the music of Christiane Legrand took hours. Among the many groups she sang with was a group called Les Double Six. Les Double Six did not use the same personnel on every track during a recording date. So just picking a song by Les Double Six at random may not be the one on which Legrand sang. Of course, the information on the YouTube clip did not show who sang on which song. Furthermore, the Internet itself did not have any information on who sang on which track. Add to that, the album that introduced me to Legrand in the 1970s is no longer on YouTube. This project has been as much a labor of love as it has been fun to put together. My hope is that somewhere during the course of this tour around the world of Jazz, you will be introduced to artists you may not be familiar with, and that that will lead you to seek out more more music from that artist. I would really love to get a grant to do this for real; to visit 52 countries in a year and listen to live Jazz in each of those countries. And, of course, write a blog or series of articles about it so more people can experience just how connected the Jazz world is. On the left is a graphic of all the countries we visited on our Jazz Around the World tour.